Greek Bronze Age excavated city. Klein, Nancy L. "Excavation of the Greek Temples at Mycenae by the British School at Athens." The Annual of the British School at Athens. 92 (1997): 247-322. http://www.jstor.org/stable/30103485. "Mycenae." Odysseus. January 29, 2015. http://odysseus.culture.gr/h/3/gh351.jsp?obj_id=2573. "Mycenae." Google Earth. 37°43'49.62" N and 22°45'24.71" E. April 29, 2013. January 29, 2015. Image is available for personal and non-commercial use according to Google Earth's permission guidelines. 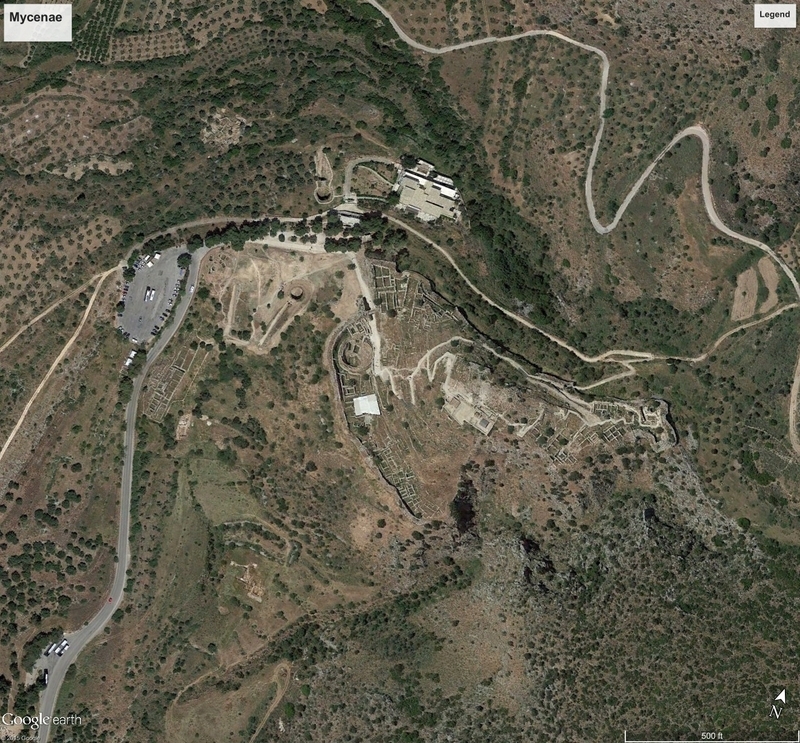 Unknown, “Mycenae,” Introduction to Art History: Mapping the Movement of Men and Materials, accessed April 24, 2019, http://arthist101.dukewired.net/omeka/items/show/45.